The cover above is the current cover of Time Magazine. It is meant to illustrate a putative Russian takeover of America, via the White House. It is a very creative cover. But, as has now been pointed out more than once, it has a massive mistake. The building that they have taking over the White House is not the Kremlin. In fact it is not even a functional government building. It is a museum, but is also the Cathedral of the Protection of the Most Holy Theotokos. And, it is actually a complex of nine chapels all bound together. At times they have been seen as nine different churches. Though it is a museum since the 1929 Bolsheviks took it over, times have changed. Occasional church services have been held there since the fall of the Soviet Union in 1990, and every October the cathedral hosts a service in honor of the Day of Intercession. It is now a UNESCO World Heritage Site. 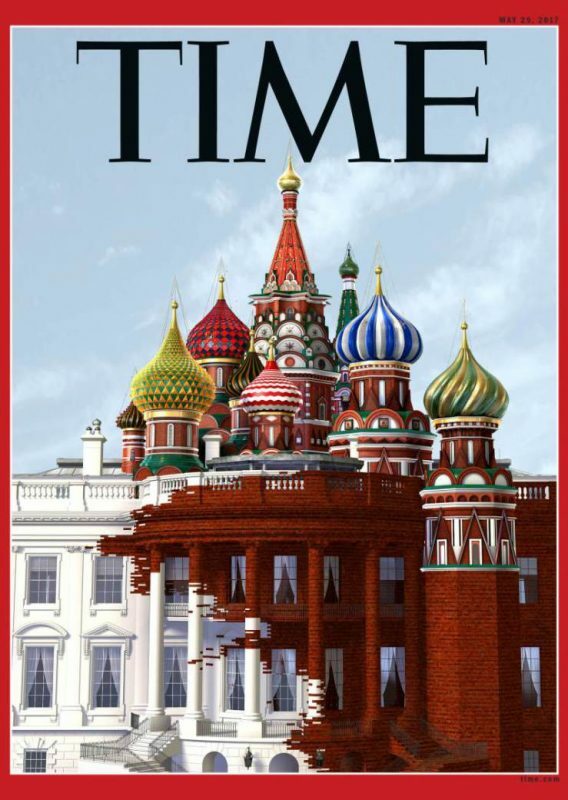 In order to produce the composite above, Time Magazine removed all the crosses from the onion domes. All those steeples you see are Christian steeples which have crosses on them to this day. They are not, and have never been, minarets. But, the writers of the piece knew that the chapels are recognized as one of the most visited (by tourists) landmarks in Russia. And, so, they used a grouping of chapels/churches to symbolize the very power that the Russian Orthodox Church overcame over 70 very painful years of suffering. The Russian Orthodox Church has now regained much of its spirituality and strength, as well as having more and more of its merited place within world Orthodoxy. The sad part is that the very best thing that could happen to America is if what is really and actually pictured on that Time cover were to happen. I can think of few more positive outcomes than to have Orthodoxy spread wildly throughout the USA. I would be incredibly happy if the secularism of the USA found Christ and converted to Orthodoxy, for Orthodoxy in Russia has a strong history of resisting Communism and secularism.